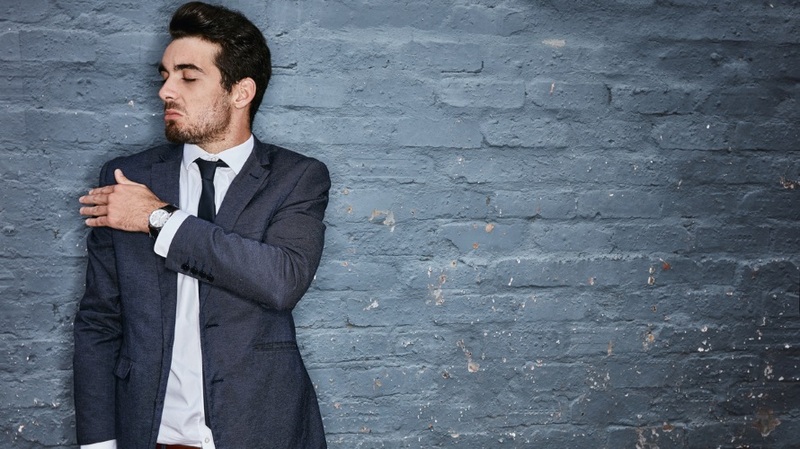 We’ve likely all cringed at the same self-proclaimed industry “gurus,” “ninjas,” “masters” or “mavens.” They seem to be everywhere, constantly posting selfies at industry events, clogging up our Facebook feeds or trying to teach us lessons through their preachy LinkedIn posts that all seem to read the same way. They spend so much time promoting themselves that it makes you wonder how they have time to do any actual work. 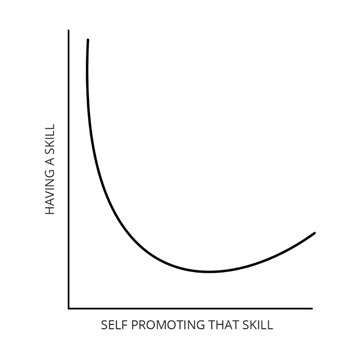 In fact, there seems to be an inverse relationship between people who are good at self-promotion and people who are actually good at their self-proclaimed skill. So, if this is true, why do these people exist? Why are they getting promotions, speaking gigs or landing clients instead of being laughed out of the room? Online screening is on the rise: According to the latest CareerBuilder study, more than 70 percent of human resources departments are required to screen candidates online. According to studies conducted over the past several years, it’s been found that 81 percent of consumers will conduct online research before making decisions, and 94 percent of business decision-makers will, too. You’re now constantly on the job market: According to the McKinsey Global Institute, the average professional switches jobs every two to three years, and within the next 15 years, 75 million to 375 million people will likely change job categories. On top of that, by 2020, it’s estimated that 40 percent of the workforce will be freelancing to some extent. This means that the job market is more competitive than ever, and somebody is going to research you online before your next career move. The people who do the best job of reinforcing their qualifications and do the best to “look the part” will get the most opportunities. In fact, according to CareerBuilder, 56 percent of employers won’t even consider you if they can’t find industry-relevant content about you online. Have you ever heard the expression, “No one’s ever been fired for going with Oracle?” The same goes for people. Employers and clients know all too well the cost of hiring the wrong person. Having a strong online personal brand makes prospective employers and clients more comfortable in their decision to hire you. How can you beat the self-promoters at their own game (without spending all day writing vapid LinkedIn posts)? Instead of getting angry, you can beat self-promoters at their own game. You’ve already done the hard part (amassing years of skills and experience). Now all you need to do is build a personal brand that reinforces that skill set so when your prospective employer or client inevitably looks you up online, you make the right impression. First, decide how you want to position yourself within your industry. Are you an innovator, an experienced professional, a thought leader? Pinpoint what it is that makes you great at what you do. Next, build an online presence that highlights your expertise. This starts with building a personal website and a blog. Write about what you know and what’s relevant to your industry. Make sure it’s unique and interesting, and post (at a minimum) once per month. You’ll also need a LinkedIn profile, Twitter account and profiles on any other industry-relevant networks or websites. Promote what you’ve written on your blog on all of your social profiles. Break up your monthly blog post and post snippets as weekly status updates. Consistently updating your content is key. Then start connecting with others in your profession or within your industry. You want to build an audience of people that will be interested in what you’re writing about. Don’t be shy: Remember, you need to stand out from the crowd. If you can, include a short note and explain why you’d like to connect with them. Make it personal and not something you’ve copied and pasted to everyone you’re reaching out to: It’s about quality, not quantity, when it comes to your network. Build a basic brand: Who you are and what you’re about. This includes establishing a foundation of websites and profiles on the web that highlights your industry expertise. Build credibility and an audience: Write about what you know for those you know care about it. Connect and network with others in your industry to grow your audience. Target new opportunities: Stay top-of-mind and nurture your audience; soon, instead of seeking new opportunities, they’ll start seeking you. Patrick Ambron is CEO of online reputation-management company BrandYourself.